Following on from our last post we have decided to layout the foundations of a basic EMC test plan template. This basic template provides a means to at least determine how to formulate a template for your company for future compliance testing requirements. 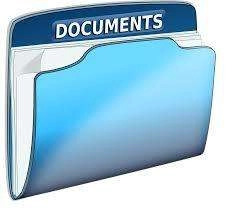 The test plan should be stored along with the test report, EMC testing quote and other technical documentation in the compliance folder for future reference. This helps trace back technical decisions and allows trace-ability. The EMC test plan ideally will have a unique document identification so internal to the company and external i.e. at the EMC testing laboratory you are both working from the same document. To ensure consistency within the working group and as changes are made to the test plan it advised to use version control. It is ideal to have a second person approve the test plan to ensure all the details are correct and that no technical points or relevant information is over looked. Obviously the company conducting the testing should add their details. These details should include the full company name. Also the details of the company representative(s) organizing and liaising with any outside parties (the compliance testing facility), including contact details such as phone and email. If any variant models in the range are to be included in the testing scheme. Usually a worst case variant model is determined through pre-compliance testing. Alternatively if a product range has a unit with additional options to other units this may engineering decided by the manufacturer to the be the worst case variant for testing. This usually requires significant technical knowledge of the product and how they are constructed and operate. Typically this will be either consumer, light industrial, commercial, industrial, automotive, military, locomotive & train etc. Australia & New Zealand (RCM), North America and associated countries (FCC), Canada (IC) and Europe (CE). Many other countries will accept a test report against the relevant associated accepted FCC or CE test reports. Much of the testing contained in the EMC Radio standard (ETSI EN 301 489 series) overlaps with the product standards (i.e. EN 55032, EN 61000-3-2, EN 61000-3-3 and even some of the EN 55024 immunity testing). However there is some additional testing and it is also some additional monitoring requirements that should be highlighted in the test plan. If the product has more than one power source please specify. Usually this is only 1, however sometimes during surveillance visits or investigations by governing bodies they will instruct compliance be performed on more than 1 product sample. How many transmitters are installed and can they be used at the same time. If the product has a RF wireless communication capability then also add the additional EMC standards for Radio performance testing (if not already a compliant module and integrated correctly (see previous posts) and combined equipment EMC and Radio product testing requirements such as ETSI EN 301 489 series. Useful tip: Usually the ETSI EN 301 489 part example: ETSI EN 301 489-3 can be determined by reviewing the radio performance test report for the radio module, example: EN 300 440 > ETSI EN 301 489-3. The radio perfromance test report may also indicate if the Radio module is a Transceiver, Transmitter only, Transmitter & Receiver, or receiver only. Usually this is the highest frequency of the main IC used in the product, however it also includes the highest frequency used or tuned including frequencies used or tuned into by radio wireless device such as Bluetooth (approximately 2.5GHz), ZigBee etc. Floor standing, portable, table top, fixed use (mains powered), vehicular use only etc. Usually Class A and Class B limits spring to mind (such like FCC Part 15B and EN 55032). The limits depends on the standards and the intended environment. Typically the more stringent Class B limit levels are used for products intended in EMI sensitive areas or used primarily in a residential environment. This applies for immunity testing only typically is only applicable for products containing hall sensors, CRTs and other magnetically susceptible devices. All modes of operation and configurations of the product should be listed. The worst case mode and configuration determined through investigative means or by engineering judgment that will be used for EMC compliance testing . What mode of operation requires testing, does the worst case mode need to be determined through investigative methods at a laboratory or through engineering assessment. How long does it take for the EUT to complete it’s functions in the test mode and allow the assessment of compliance during emissions and immunity testing. Typically products are configured to have a fast duty cycle to reduce testing time and cost, usually less than 3 seconds. The test shall normally be performed with the generating antenna facing each side of the EUT. When equipment can be used in different orientations (i.e. vertical or horizontal) all sides shall be exposed to the field during the test. When technically justified, some EUTs can be tested by exposing fewer faces to the generating antenna. You will be asked to supply information upon the justification for inclusion into the test report. This can be dependent upon the standard, typically non identical ports/cables including signal and other input/output ports including power are applicable for conducted immunity testing if they can have a end user functional length exceeding 3m. How long to set the product and the support equipment and put the product into it’s mode of operation for testing. Supply a diagram of the proposed test product test setup. Additional comments or notes that are required to configure the product including any instructions for software etc should be stipulated. Repeat the port(s) list for all ports that the product has, or alternatively produce a port table. Additionally certain product standards have other particular requirements, these may need confirmation but checking the standard or alternatively seeking professional assistance from a knowledgeable source.